"Neck!" 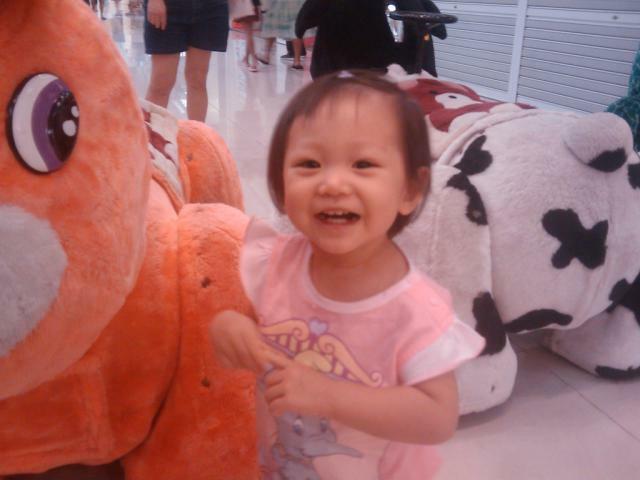 squealed Talia as she pointed at the stuffed giraffe. Then she tipped her head forward and pointed to the back of her own cute little neck! She just loves animals, even furry fake ones in shopping malls. As Ethan is now 3.5 years old and Talia enjoys animals so much we are thinking about getting a family zoo pass to go there with the kids!